I had a feeling this was going to come any day now, but SEGA’s latest free-to-play game featuring their signature character, Sonic Runners, has arrived in both the Japanese and Canadian App Stores. 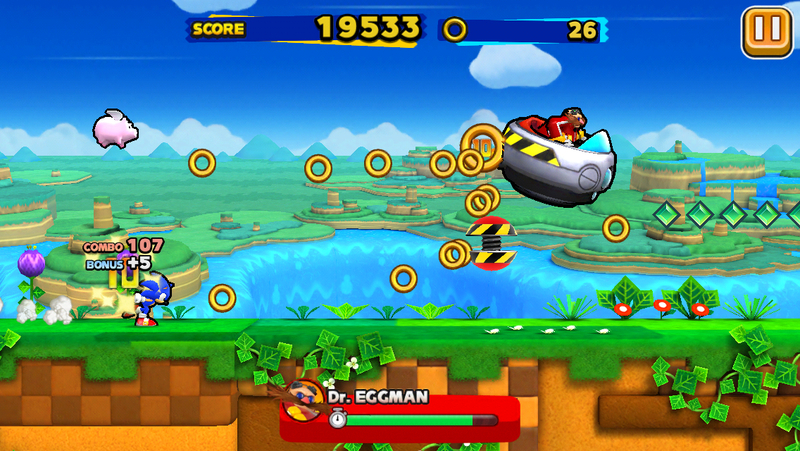 The game is a side-scrolling, stage-based auto-runner developed by Sonic Team. It’s their first original title for mobiles, with previous non-port Sonic mobile games being handled by SEGA subsidiary Hardlight. The hope is that the game being handled by the team behind the main Sonic games might produce something a little more authentic to the character. The other Sonic free-to-play games haven’t been bad, but they’ve been missing a certain something that keeps them from feeling like true Sonic games. From playing Sonic Runners briefly, I can at least give you a few impressions. The gameplay is pretty much as expected, though Sonic’s jump physics feel oddly heavy and the stages are actually a lot taller than I thought they would be. There are lots of ways to make your way through the stage, with higher paths offering greater rewards. As usual for the series, as long as you have rings in hand, you’re safe from most hazards, though pits can quickly end your run no matter how many you’re holding. The structure of the game is kind of different from what I anticipated. Each episode has a series of goals to accomplish before you can take on the boss and clear it. Each play has you running for as long as you can, with the results added to the overall episode goal. Theoretically, you can beat an episode with just two runs if you’re good enough. That’s a good thing, because the game features a stamina meter. Each run consumes a point, and the meter maxes out at five. That’s similar to Spider-Man Unlimited (Free), and I still don’t much care for the idea in a running game. That’s just the beginning of the monetization and social hooks, however. Sonic has extra friends and powers that will help him out, and you earn them by spinning a roulette wheel that functions pretty much like it does in every other Japanese social game. It also really wants you to sign in to Facebook and invite your friends. Naturally, there’s a premium currency that can ameliorate all kinds of problems if you have enough of it to spend. 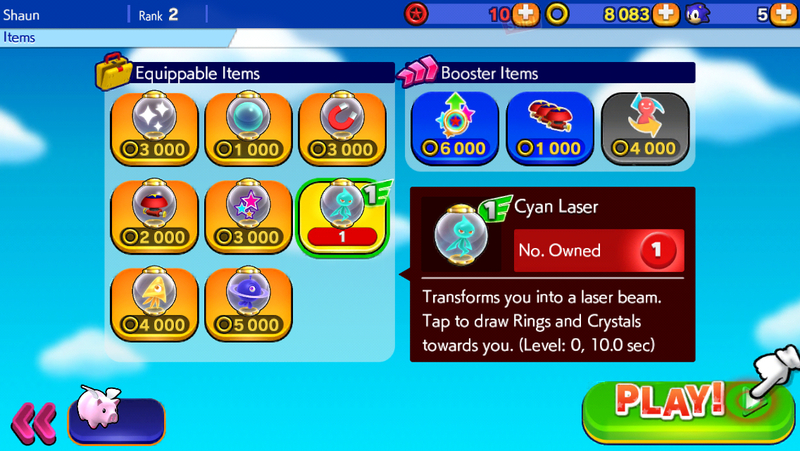 Basically, the gameplay in Sonic Runners is quite fun, and the presentation is very nice. I’m not convinced about its free-to-play hooks yet. The stamina meter ended up being almost a non-factor in Spider-Man Unlimited, so if it’s similar here, I think I’ll have plenty of good times with Sonic Runners. I could easily see it going off the rails with its sales pitches, however. I guess that’s what a soft launch is all about. I assume we’ll be seeing this rather soon worldwide, so you can look forward to a full review whenever that happens.